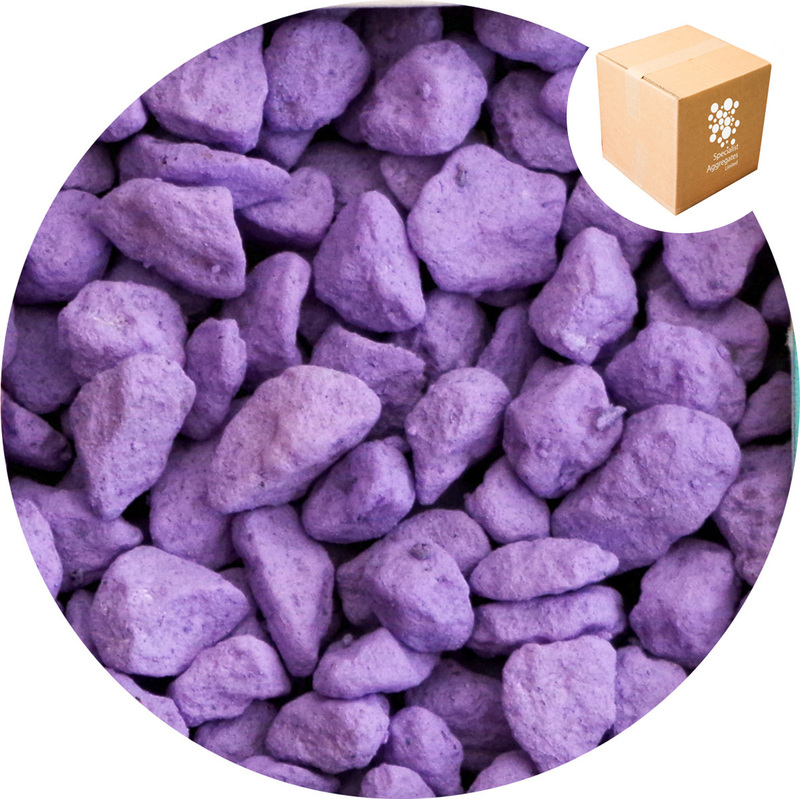 Marble chippings coloured a pastel lilac colour. Specifically designed for hobby aquaria, creative play, promotional, merchandising and event decor. 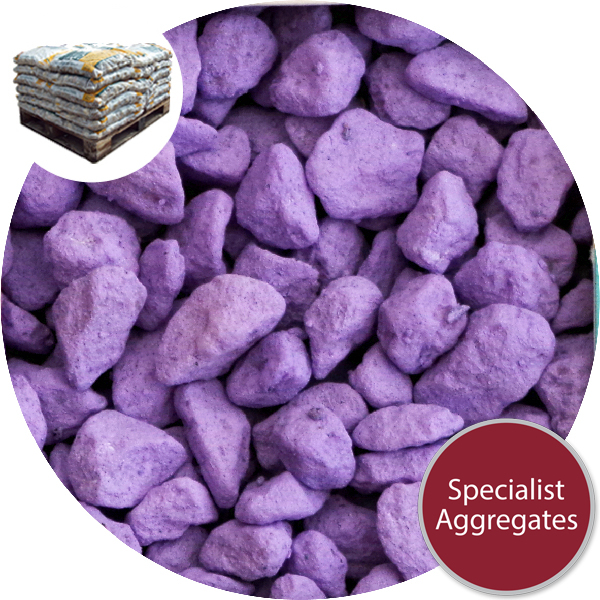 Marble chippings surface coloured by Specialist Aggregates in the UK using non toxic resin and organic pigments. 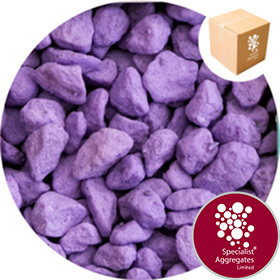 Our coloured marble chippings have a matt finish that is colourfast and waterproof making them safe and clean to handle and ideal for interior decor. Applications include plant topping, flower arranging, creative play, table decoration as well as a substrate for aquaria. 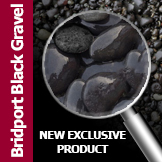 Produced from natural marble obtained from licensed and regulated sources and coloured using polyurethane varnish and industry standard pigments. Safety Information: Not suitable for children under 36 months without adult supervision. 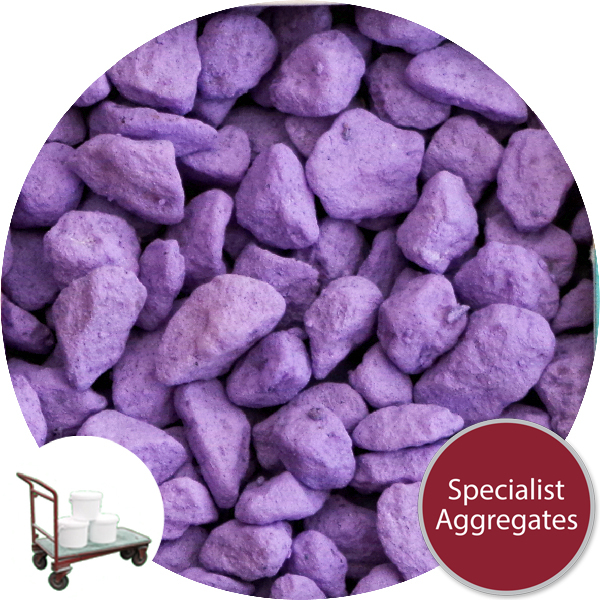 Design Specify: Calico marble - Lilac from Specialist Aggregates.